Engage imaginations and build non-fiction reading skills with Investigate: a series of high-interest, visually stunning photographic books based around exciting science themes. Smoothing the transition from guided reading to confident solo reading, this book-banded series is organised into strands of six books, each consisting of an overview book plus five companion titles. Combining easy-read text with dramatic visuals and attention-grabbing facts, Investigate makes an ideal introduction to non-fiction for readers who are growing in confidence. It builds familiarity with the conventions of non-fiction texts using contents pages, a glossary and index, captions, fact boxes, photographs, maps and diagrams. 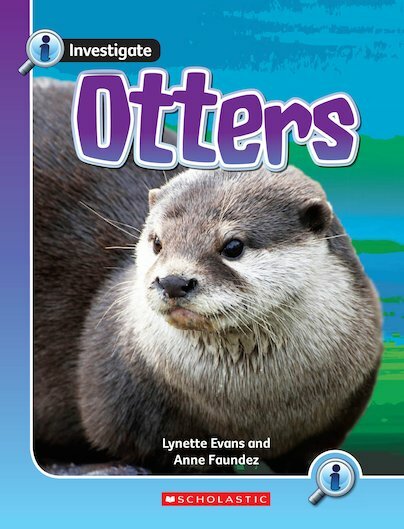 Supplied in a pack of six copies, this book from the ‘Animal Defences’ series strand is perfect for guided reading or child-led extended study.